Keep upto date with the latest styles and trends with our complete range of polo shirts. With the largest choice of technical, premium & sports brands featuring all the latest technologies to keep you feeling fresh on or off the course. Keep warm for those windy days on course, take advantage of our extensive collection of sweaters that will keep you warm on even the windiest and coldest days. With the biggest selection of brands such as adidas, Galvin Green, Puma & more. The cornerstone of every outfit, why be remembered for your golf when you can be remembered for your trousers, whether you are looking to stand out from the crowd or look elegant and stylish then you will find your look with our extensive collection. Contemporary styling and an athletic cut are the signature characteristics of the golf waterproofs, whether you are battling rain, wind or sun, the body is kept dry and comfortable at all times. Choose from a great range of performance & gore-tex garments. Great shelter for those windy days on course, take advantage of our full range of windproof garments. With a complete selection of lightweight tops, short sleeve tops & thermal windstopper garments, you have the largest choice available. Whether you are going away or just enjoying the few days of summer, look the part at home or abroad in a pair of golf shorts. With the largest selection of shorts for golf, choose from a classic look or a more modern design with bright seasonal colours. When the clod kicks in, keep warm & perform on the golf course with our fantastic range of winter golf base layers. With a full selection of thermal & compression garments, these items of clothing are packed with thermal insulating technology. High performance underwear with the versatility of everyday use, using the most advanced construction techniques and materials that will provide you with more support than a standard brief with the best fit, comfort and style ever experienced. Finish off your golf outfit in style, at Clubhouse Golf we stock an array of leather and webbing golf belts. 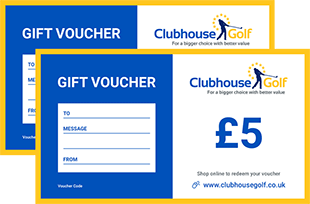 Choose from the leading & most popular clothing brands such as adidas, Galvin Green, Puma Golf, Nike & many more. Leather, All-Weather, Rain Gloves, Winter Gloves you name them we have them in stock. Brands such as Srixon, FootJoy, Titleist & many more to ensure you will find the correct glove to suit your game. Can your game survive without one? An essential item on tour, many tour pro golfers now wear high performance sunglasses to protect their eyes from intense sunlight. 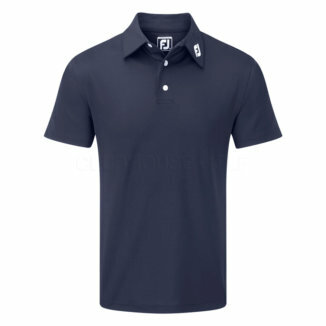 With golf specific & lifestyles designs, these are the perfect crossover item from leading brands such as Oakley.